Hey, everyone! If you’ve missed any of our exciting episodes, no worries! All you have to do is click onto this sweet link to get your fix of The Calling! 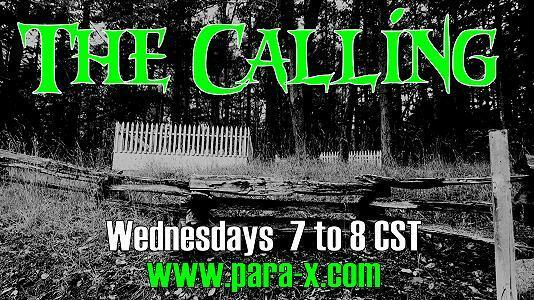 Tune into us LIVE every Wednesday night at 7 p.m. CST – 8 p.m. CST and join our free chatroom at http://www.para-x.com! This entry was posted in Afterlife, Artist, Author, Bigfoot, Books, Co-host, Creepy, Demons, Empath, Empowerment, Enlightenment, Entertainment, Fearless, Ghost Hunters, Ghosts, Gratitude, Graveyards, Haunted Houses, Hauntings, Hearing Angels, Hellhounds, Host, Immortal, Immortality, No Fear, Novels, Occult, Omens, Oneness, Open Minded, Paperback, Paranormal, Paranormal Investigators, Paranormal Researcher, Paranormal Romance, Phobias, Poet, Poltergeists, Positive Affirmation, Positive Energy, Positive Vibes Only, Premonitions, Radio, Spirit Boards, Spirit Guides, Supernatural, The Spirit Within, UFO, Ufologists, Ufology, Urban Legends, Vampires, Werewolves, Wiccan, Witch, Witches, Writer, Zombies by SheilaReneeParker. Bookmark the permalink.